Is Shade 93 (Honey Butter) right for you? Garnier Light Golden Blonde 93 (Honey Butter) is our light blonde shade with soft golden tones that will add warmth to your results. It provides 100% gray coverage and is best for anyone with natural hair between light blonde and light brown. If you would like an even lighter shade, shade 100 (Chamomile) or 111 (White Chocolate) might be for you, but these do not have golden tones. If you would like to remain in the light blonde range but would like to explore other reflects and tones, shade 90 (Macadamia) might be for you. *For women with currently color treated hair, there are special considerations for the color result you can achieve. Because of this, we do not recommend shade 93 (Honey Butter) for hair that has been previously colored Dark Natural Blonde 70 (Almond Creme) or darker. For more help, use our Shade Selector Tool to find the perfect shade for you! Nutrisse Colorant: Aqua/Water, Cetearyl Alcohol, Propylene Glycol, Deceth-3, Laureth-12, Ammonium Hydroxide, Oleth-30, Lauric Acid, Hexadimethrine Chloride, Glycol Distearate, Polyquaternium-22, Ethanolamine, Silica Dimethyl Silylate, Ci 77891/Titanium Dioxide, M-Aminophenol, Ascorbic Acid, Sodium Metabisulfite, 2-Methylresorcinol, Dimethicone, Pentasodium Pentetate, P-Phenylenediamine, Parfum/Fragrance, Carbomer, Resorcinol, Vitis Vinifera Seed Oil/Grape Seed Oil. F.I.L. D37758/2. Fruit Oil Concentrate: Paraffinum Liquidum/Mineral Oil, Vitis Vinifera Seed Oil/Grape Seed Oil, Parfum/Fragrance, Tocopherol, Rosmarinus Officinalis (Rosemary) Extract. F.I.L. D25829/5. Rinse-Out Conditioner: Aqua/Water, Cetearyl Alcohol, Elaeis Guineensis Oil/Palm Oil, Behentrimonium Chloride, Pyrus Malus Extract/Apple Fruit Extract, Glycerin Parfum/Fragrance, Stearamidopropyl Dimethylamine, Niacinamide, Pyridoxine Hcl, Butyrospermum Parkii Butter/Shea Butter, Citric Acid, Olea Europaea Oil/Olive Fruit Oil, Saccharum Officinarum Extract/Sugar Cane Extract, Benzyl Alcohol, Chlorhexidine Dihydrochloride, Persea Gratissima Oil/Avocado Oil, Ribes Nigrum Oil/Black Currant Seed Oil, Linalool, Citrus Medica Limonum Peel Extract/Lemon Peel Extract, Ci 19140/Yellow 5, Camellia Sinensis Extract/Camellia Sinensis Leaf Extract, Ci 15985/Yellow 6. F.I.L. D35637/3. Nutrisse Developer: Aqua/Water, Hydrogen Peroxide, Cetearyl Alcohol, Trideceth-2 Carboxamide Mea, Ceteareth-25, Glycerin, Pentasodium Pentetate, Sodium Stannate, Tetrasodium Pyrophosphate, Phosphoric Acid. F.I.L. D12836/26. Rated 1 out of 5 by Kathee from Dull, drab no dimension, flat with no lustre. I've been using this color for several years, but the ingredients must have changed. The past three colorings have yielded a flat, drab, blonde beige with no shine or sheen in any way. The picture on the front clearly shows the lack of shine and sheen as well. It doesn't cover the roots or grays. It kind of reminds me of the one tone color of the 70's with a flat appearance, which makes my hair look even thinner. I would strongly urge anyone to try anything other than this dated flat color. I'm stuck with this tacky color til it fades, which thank heavens wont take long. The color just simply fades off over a few weeks. Save your money and go to another line, this is some old school looking color. Don't do it, you'll be sorry. 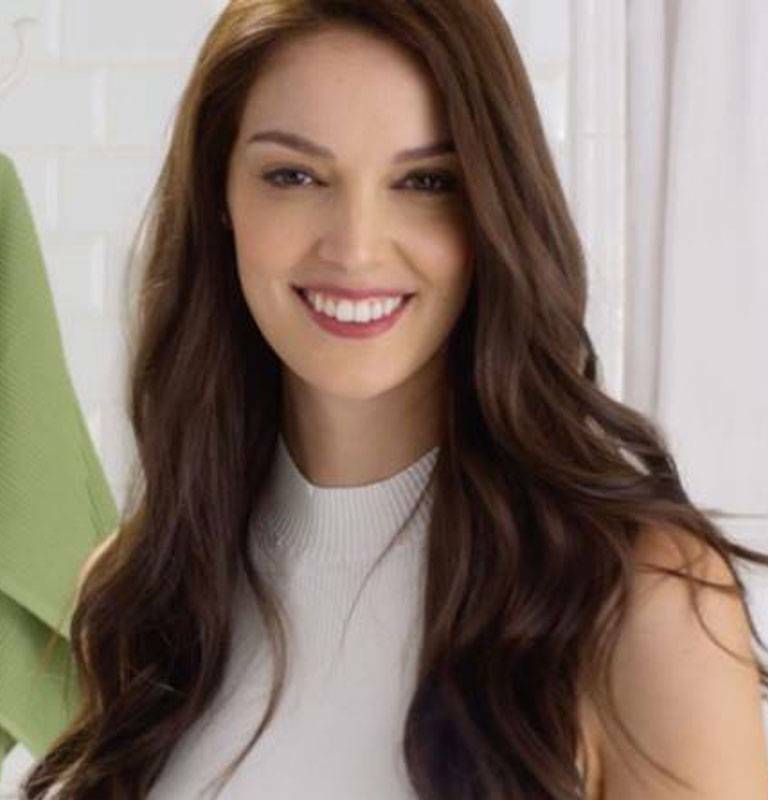 Rated 1 out of 5 by tiffany2018 from dont use this please ive only ever used garnier nutrisse color in the past, and its always worked great for me! until this. i had a family member carefully do my hair and did the roots last for about 15 minutes, yet when i rinsed it out, they were bleached blond yet the rest of my hair was exactly as it had been. have to go to the salon tomorrow to fix it. cant leave the house like this. Rated 5 out of 5 by coca2431 from the only one I use I've been using this hair color shade for so many years. To be honest, I tried a very popular name brand in the same exact color and my hair was dark blonde. That was not acceptable. Five days later I used My Garnier, and voila......it's back to the color I love! A few helpful hints for blondes: I leave it on for at least 45 minutes and cover it with a shower cap. Doing it this way gives me the color I want and expect from this product. My hair is on the shorter side, very straight, and fine. After using it for so long, I'm finding it has not damaged my hair in the least and have received compliments from hair stylists. Love this product! Rated 2 out of 5 by Vernita from Not true to color I have mostly white hair, probably 90%. Wanted to try this in light golden blonde. Came out looking ash blonde with silver. Had to go out and get another brand to correct it. Rated 1 out of 5 by Lpennell7971 from Never Again Prior to using this product earlier this evening, I had (and now still have) light brown hair. Post use I have the added bonus of very blonde roots, and nothing else. I followed the directions verbatim- applied to the darkest regions first and ended with my roots ten minutes before the processing time was over, just to be sure not to over-process, for all the good that did me. I saturated all of my hair very carefully and processed for 30 minutes because my hair is coarse. But lo and behold, I showered and could already tell it hadn't actually changed my hair color by much, but blow dried to find that it wasn't any lighter. Except for the roots of course, which are now completely identical to the shade on the box. It's not a good look. I regret buying this product and will now have to purchase another, different brand of dye to repair my hair. Very dissatisfied. I've usually had great results using garnier's hair color products, but after this would hesitate to buy anything from them again. Rated 5 out of 5 by Candreop from I LOVE this color! I have been using this product in the Light Golden Blonde color for ten plus years and it is fantastic! 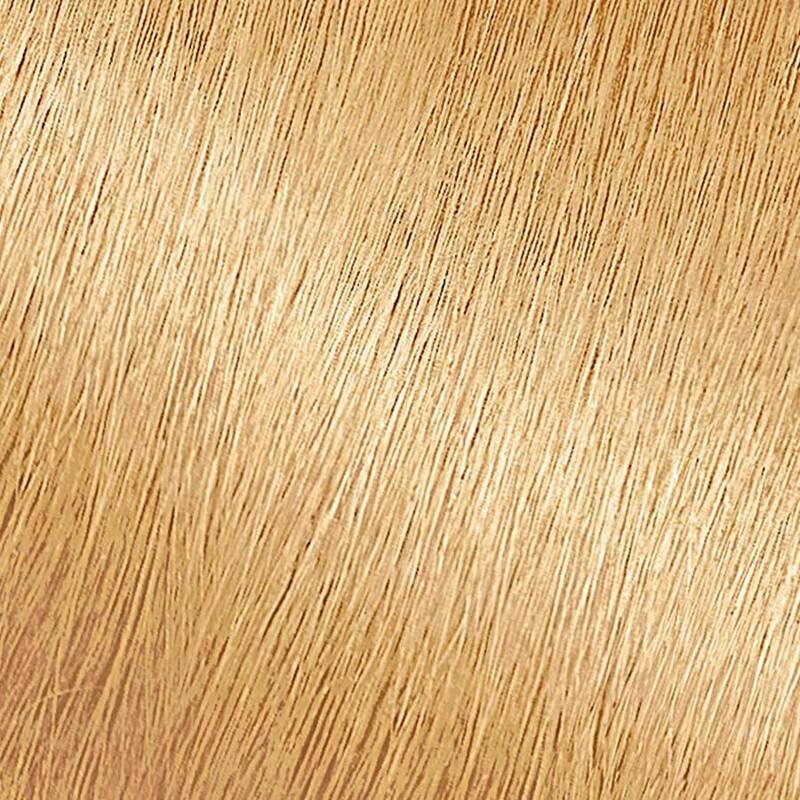 I have dark blonde hair and this is the only color that gives me the results I want. It leaves your hair feeling softer and looking better than before coloring, but now I'm having a lot of trouble finding it! I'll be looking in different stores and hoping to find my perfect color as I would hate to have to try a new brand or color... just hoping it isn't discontinued as the stores have told me, if I find it I will stock up or try ordering through this site. I would recommend this brand and color absolutely. Rated 5 out of 5 by vicks123 from BRING IT BACK! 93 Light Golden Blonde (Honey Butter) I have used this hair color for 5 years. I absolutely ADORE it. It is the perfect golden blonde. I have tried many other brands and none come anywhere close to this color. However, I hear so much about it being DISCONTINUED?! I seriously might cry. You must bring it back. I bought 20 boxes just in case, but that wont last me forever. I am serious, YOU ALL NEED TO TRY THIS COLOR. It is beautiful and looks natural. It is also nurturing. It will make your hair soft, and smell wonderful. Rated 5 out of 5 by misty622 from favorite hair color ever! been dying my hair for about 20 yrs. so far this is my favorite shade of blonde. it took me yrs. to find this perfect hair color.